Entertainment Weekly managed to contact the superspy, a.k.a. H. Jon Benjamin, and get him to weigh in on the entire series of films, in chronological order. 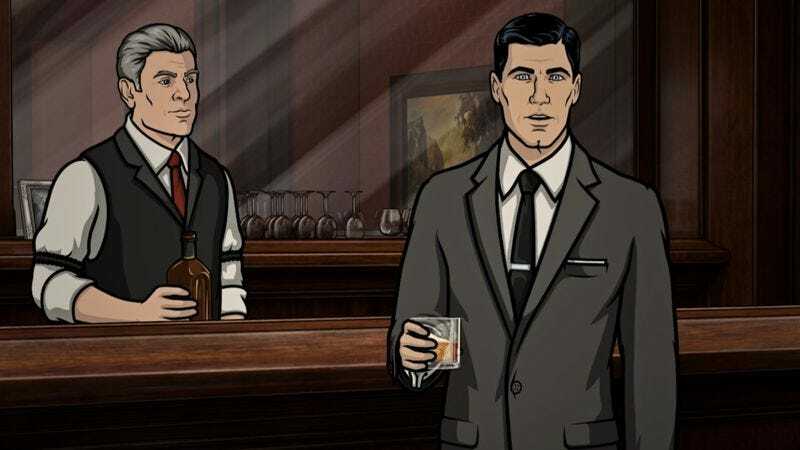 Not only that, but the animators at Archer also put together a short video in which the secret agent expounds upon a random sampling of the franchise’s offerings, including Dr. No, Goldfinger, and The Living Daylights. That last one gets awarded “one and a half habits” by Archer, simply by dint of star Timothy Dalton having dated Whoopi Goldberg. It all makes sense in context.